A basement can flood anytime you experience basement water intrusion from any source. Now is the time to think about how to prevent future basement floods. Job one is to identify the possible sources of water intrusion and take steps to resolve the issues. Gutters and downspouts help channel rainwater away from your foundation, preventing water from entering through cracks. Clean your gutters and downspouts at least once, if not twice, a year to keep them flowing smoothly. Adding downspout extensions will help move water away from your home as well. Check that your landscaping isn’t holding water too close to your foundation. Plants should be at least 18 inches (46 centimeters) away from your home. Soil should slope away from your home to allow rainwater and snowmelt to run away. If necessary, add soil around your foundation. Check foundation walls and flooring for cracks that may allow water in. Patch small cracks with a polyethylene masonry caulk. For larger cracks, use hydraulic cement, following the manufacturer’s instructions. Also, check the caulking around windows to ensure water is not getting in. If you have a sump pump, properly maintain it to prevent it from causing a backup or basement flood. For those that don’t have a sump pump, consider having one installed if you regularly have water in your basement. During especially severe storms with heavy rainfall, municipal sewers are unlikely to handle the volume of water. This can result in a backup of rainwater or even sewage in your home through open floor drains. There are a number of options you should discuss with your plumber for preventing backups through drains. If the worst happens, and you end up with a flooded basement, call on SERVPRO of East Sterling Heights/West Clinton Twp. for expert help anytime, 24/7, 586-412-9595. Is it Damaging My Property? Have you ever wondered why your basement keeps flooding or your driveway is washing away? As the owner of a home or business, your property can be affected by stormwater. Structural damage is one of the common types of property damage caused by stormwater. Flooded basements and leaking roofs are often expensive problems after a heavy storm. Stormwater can also cause cracks to occur in foundations and water damage around windows and doors. Stormwater can also affect public and private utilities. Private water wells can be impacted from surface water contamination. On-lot septic systems can be damaged from standing surface water or flooding. Utility poles can become unstable from streambank erosion or wet soil conditions. The responsibility often falls on the property owner to replace unstable utility poles and repair private septic systems and drinking water sources. Soil erosion of lawns, agricultural fields, stream banks, and driveways can cause actual loss of property. Flooding can lead to saturated areas on lawns and fields. These wet soil conditions can make lawns difficult to maintain, lawn and farm equipment can become stuck, and mud can be tracked inside from pets and children. Other property damages from stormwater can include field and crop damage. These types of property damage have the potential to cause property values to decrease. Eroded bridge abutments and deposition upstream and downstream of bridges from high stream flows can cause significant damage and an increase in maintenance costs for landowners. Drainage ditches can quickly fill up with sediment and other debris from concentrated stormwater discharges. Washed out roads, berms, and culverts are also common issues after storm events. Residential driveways are also frequently eroded and washed out from stormwater runoff. 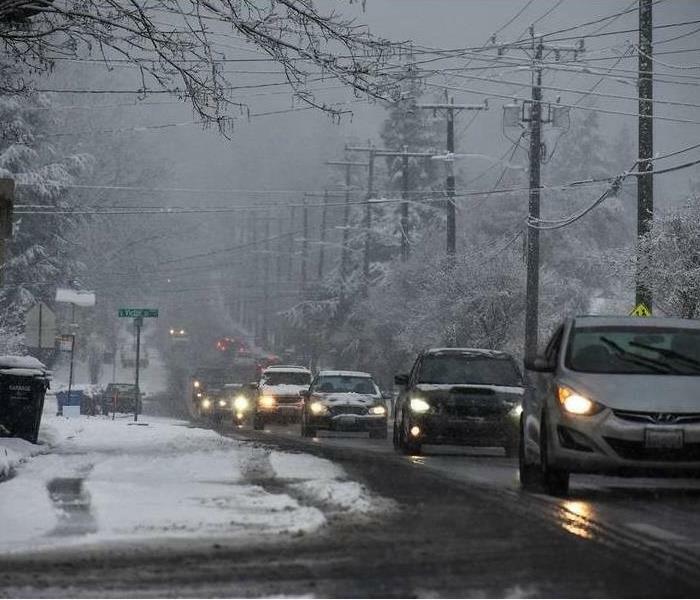 Flooded roads and driveways may become dangerous unexpectedly during storms due to water ponding on a road or driveway and also from ice forming after snowmelt and winter rain storms. In summary, stormwater can be the cause of many types of property damage. Everyone has a role to play managing stormwater in order to minimize and prevent damage and save time and money on expensive stormwater damage repairs. Learning more about what can be done to manage stormwater on your property can help reduce the damage you may have to deal with. And if you are the victim of property damage from stormwater, you can call on SERVPRO for professional help. 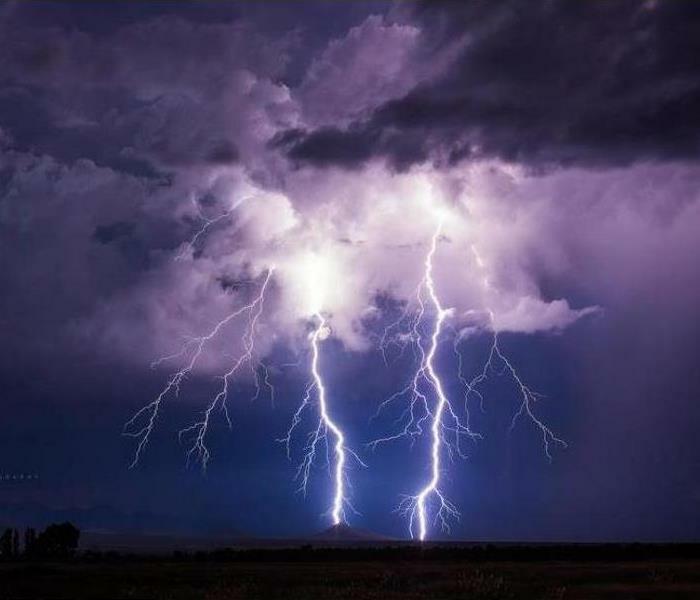 We have the trained personnel, the specialized equipment and the appropriate products to mitigate any damage from storms. Call us 24/7 at 586-412-9595. Will your insurance cover storm damage? How Do Insurers Define It? The Federal Emergency Management Agency (FEMA) sets the legal definition of flood damage as a "general and temporary condition where two or more acres of normally dry land or two or more properties are inundated by water or mudflow." Understanding this definition is important if you're a homeowner, since your insurance policy may not protect you from all types of water damage your property sustains. Sudden surges of water, sewage backups, or rain water from a hurricane may all cause your property to flood. However, as we'll explain below, not all of these conditions will result in what an insurer would define as flood damage. These distinctions become important during the processing of a claim, when your insurer decides what is and isn't covered by your policy. Though many types of water damage can affect your home, insurers are specific about what constitutes flood damage. The most common categories of water-related damage include those arising from a sudden discharge, sewage/water backup or a storm or hurricane. By contrast, falling mud from a landslide is not considered flood damage. On the other hand, mudflows—such as those originating from nearby rivers—are covered by flood insurance. These distinctions can become quite nuanced. Your best course of action is to find out what hazards constitute the biggest risks in your area, then discuss those with an insurance agent to ascertain what would and wouldn't be covered under a policy. A Sudden Discharge of water is defined as a water event that affects your home or the immediate surrounding area over a short span of time. It doesn't cross into the realm of a flood, unless it affects over two acres of land. Any accidental overflow of water from within a plumbing, heating, air conditioning, or automatic fire protection system is typically covered by your standard homeowners insurance policy. If the discharge occurs because of your neglect, your homeowners insurance often will not pay out a claim. For example, if your pipes freeze because they were inadequately maintained, your homeowners insurance policy may deny your claim. If your home floods due to a sewage or water backup, most flood and homeowners policies will not cover the damages. You need to purchase separate coverage as an add-on to your homeowners insurance policy in order to be covered. Payout limits on these policies usually vary between $5,000 and $25,000. Backup coverage will not protect you from damage caused by a leaking in-ground swimming pool or other subsurface water feature on your property. Sewer and water backup coverage works the same way no matter where the backup originated. If the water came from beyond your property, such as a pipe maintained by the city, your insurer will still not cover it unless you purchase the special coverage mentioned above. Flooding is common in times of heavy rainfall if the water cannot drain properly—a set of conditions commonly created by hurricane damage and storms. However, certain flooding that results from storms and hurricane winds can be covered as part of your homeowners insurance. The distinction comes down to when the damage occurs. If strong winds from a storm damage your roof or windows, which then cause rainwater to flood your home, your homeowners policy should cover the claim. However, as time passes and flood waters rise any damage resulting from groundwater will require a flood insurance policy. Flood status will trigger the moment two or more acres of normally dry land or two or more properties are inundated by water or mudflow, as per FEMA's definition. Mold damage is only covered by insurers if the original source of the water damage that causes it is also covered by your policy. For example, if the mold grew as a result of a flood, and you don't have flood insurance, your insurer will not pay for the resulting mold. If you do have flood insurance, damage arising from mold or mildew is covered provided it was caused by a flooding event. Prior to the flooding, if your home had mold or mildew your flood policy will not pay for it. The National Flood Insurance Program (NFIP) expects policyholders to take reasonable actions to reduce or eliminate mold after a flood. If it is discovered that the mold arose from negligence on the homeowner's part, the insurer is within their right to deny a claim. Reasonable actions include: applying drying-out techniques or a mildewcide in the days after a flood occurs. If you have water damage in Clinton Township or Sterling Heights, from a flood or any other source, think of SERVPRO as your professional contractor. You can reach us 24/7 at 586-412-9595. Maintenance – Is there regular storm sewer cleaning? Annual inspections of roof drains, floor drains, and rain water collection systems? Sump pumps – Are there at least 2 sump pumps in each sump? Are pumps tested regularly? Are there battery backups for these systems? Backflow valves – Are they in place and maintained annually? Are they protecting both the domestic water lines and sprinkler systems? Generator Fuel Tanks – In low-lying areas, or areas subject to flooding, are generator fuel tanks located in basements? Generator fuel can be contaminated if basements flood, prohibiting generator function, and preventing power from reaching the pumps. Runoff - Does grading lead away from the building? Are there large concrete surfaces surrounding the building preventing runoff? Are adequate numbers and size of drains located at property? Emergency Readiness Planning – Is there a plan in place that specifically addresses flood/water damage? Is there a documented call list? Are all control valves clearly identified? Water damage from toilets costs $2,000 to $10,000 per incident. 78% of documented incidents were caused by faulty supply lines, toilet flanges, fill valve assemblies, or toilets that backed up and overflowed. Water damage from a sink averaged more than $7,000 per incident. Of these incidents, 44% were attributed to faulty plumbing supply lines. The chance a water heater will leak or burst begins to dramatically increase when it has been used for more than 5 years. 3/4 of all water heaters fail before 12 years of us. Roof leaks were the most frequent source of water damage in the study. The likelihood of a roof leak was even more common in regions where freezing weather, severe wind, and hail were frequent. Power outages were the cause of 18% of water damage incidents involving a sump pump. Another 40% of incidents were attributed to items such as a clogged inlet screen or a faulty float switch. We can provide an ERP (Emergency Ready Program) at no cost for your business. This program/plan would include locations of water and power shut-offs, lists of emergency contacts/phone numbers and alternative responsible parties to contact in the event of an emergency. Call SERVPRO of East Sterling Heights/West Clinton Twp. at 586-412-9595 to schedule your no-cost ERP visit by one of our trained and experienced emergency experts. If you do experience water damage, we have the equipment, the trained personnel, and the products needed to extract the water, dry out your property and get you back in business quickly. We can be reached 24/7 at 586-412-9595. Water damage can strike your Clinton Township/Sterling Heights commercial property suddenly and with little or no warning. 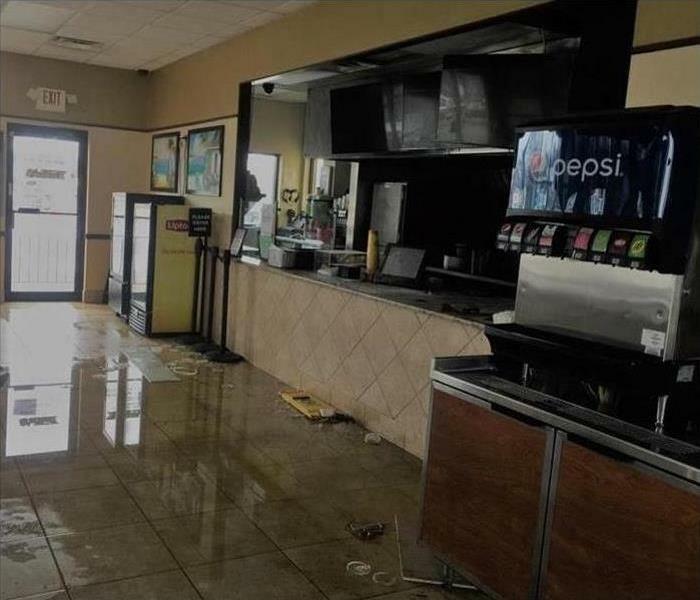 The effects of commercial water damage can be devastating to a business owner who is now faced with having to clean up the water damage and reopen his or her business as soon as possible. 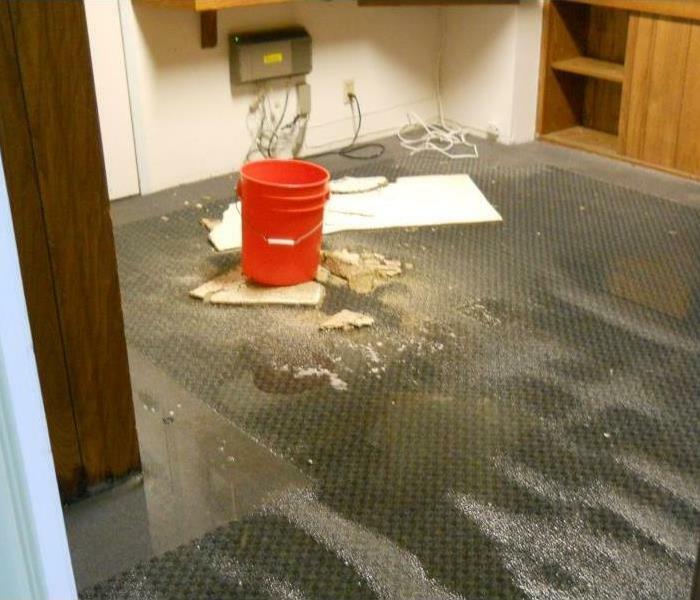 Do you know how to handle water damage at your commercial property? Are you prepared to make the necessary decisions after a pipe breaks, your roof leaks, or the streets flood to protect your property? What exactly is your plan? Thankfully, this doesn’t have to be as scary as it sounds. A little preparation for a water damage emergency and a plan of action in the event it ever happens can significantly reduce property damage and get you back to business with as little delay as possible. Large-scale losses can be prevented by following a few simple guidelines. Know where your emergency water shut-off valves are located, and have a contingency plan in place in case you are not available. Create an emergency plan with directions for what to do in an emergency as well as a list of phone numbers of approved companies to call in an emergency situation. Make sure someone you can trust has the authorization to make decisions if you are unavailable. Our company, SERVPRO of East Sterling Heights/West Clinton Twp., can help you put together this kind of plan and there is no charge at all for this service. We call the plan an ERP (Emergency Ready Profile) and we come to your business at no charge and help you set it all up because it usually means we become one of the firms you might contact if and when water damage strikes your commercial property. Water damage can happen at any time. Whether from natural disasters, leaking roofs, frozen pipes, sewage backups, or flooding, water damage is a serious concern and a major threat to your property. Understanding the source of the flooding is essential for proper cleanup, as clean water from a broken pipe or a leaking roof during a rainstorm will be treated differently than floodwaters or sewage backups. For your health’s sake it is probably best to bring in commercial water damage experts to handle the cleanup and restoration of your property. Every water damage restoration company is going to be concerned with preventing or mitigating mold growth after water damage in a commercial property. Mold growth can begin within 24 to 48 hours after the damage, and starting extraction and drying as soon as possible afterward is the best line of defense against mold. Proper removal and drying of the water is critical after a water damage emergency, and will go a long way toward preventing the kind of long-term problems that some business owners have experienced. This is particularly true of those who attempt water damage cleanup without professional help. Give us a call at your convenience if you’d like our help setting up an emergency plan in the event of water damage. And if the worst happens, and your commercial property is damaged by water, call SERVPRO of East Sterling Heights/West Clinton Twp. at 586-412-9595 for prompt and thoroughly professional assistance. You’ll be glad you did. 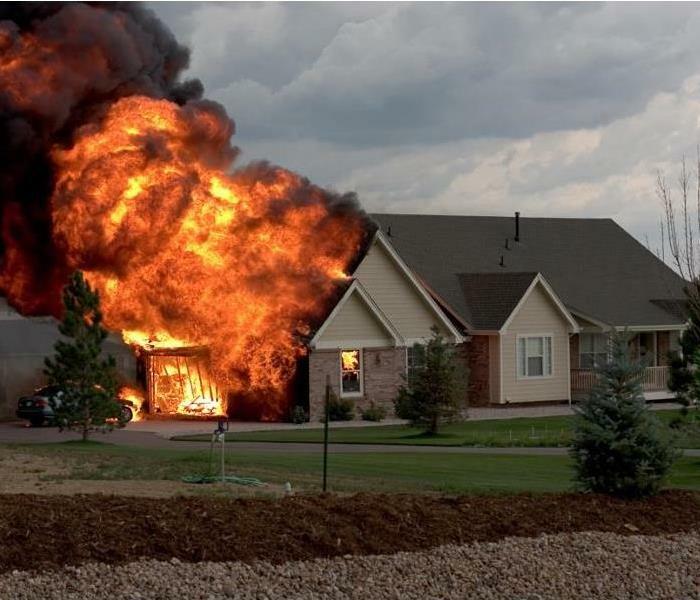 The National Fire Protection Association (NFPA) publishes a periodic report summarizing the available data on home structure fires in our country. Their most recent published report was in 2017 and is about 120 pages long. See below for information on getting a copy of the report. U.S. fire departments responded to an estimated average of 358,500 home structure fires per year during 2011-2015, which represents three-quarters of all structure fires. On average, seven people died in U.S. home fires per day. Cooking equipment was the leading cause of home structure fires and home fire injuries and the second leading cause of home fire deaths. Smoking was the leading cause of civilian home fire deaths. Heating equipment was the second most common cause of home fires and fire injuries and the third leading cause of fire deaths. While the number of home fire deaths has been cut roughly in half since 1980, the rate of deaths per 1,000 reported home fires was actually 10% higher than in 1980. More progress has been made in preventing fires than in preventing death in a reported fire. The NFPA website shows the following statement. “The National Fire Protection Association thanks all the fire departments and state fire authorities who participate in the National Fire Incident Reporting System (NFIRS) and the annual NFPA fire experience survey. These firefighters are the original sources of the detailed data that make this analysis possible. Their contributions allow us to estimate the size of the fire problem. We are also grateful to the U.S. Fire Administration for its work in developing, coordinating, and maintaining NFIRS. For more information about the National Fire Protection Association, visit www.nfpa.org or call 617-770-3000. What Happens in a House Fire? It only takes half a minute for a small flame to turn into a full-blown life-threatening fire. Learn how you can best protect your home, your loved ones, and your own life. In as little as 30 seconds a small flame can become a major fire that ravages a home and threatens the lives of the people inside. According to Glenn Gaines, the Deputy U.S. Fire Administrator, fires kill more Americans each year than all natural disasters in the United States combined. And even if individuals are spared, fire can cost tens to hundreds of thousands of dollars in property damage—up to $50,000 to rebuild a kitchen engulfed in flames. What's most alarming is that home fires have become more dangerous and devastating recently because of the flammability of the materials in the house. Thirty years ago, you had on average about 14 to 17 minutes to escape a house fire, according to Consumer Safety Director John Drengenberg of Underwriters Laboratories (UL). "Today, with the prevalence of synthetic materials in the home, occupants have roughly 2 to 3 minutes to get out," said Drengenberg. Fire testing conducted by UL has found a home with mostly synthetic-based furnishings can be entirely engulfed in less than 4 minutes. So what happens in those first few minutes of a fire that allows it to go from manageable to out-of-control? This Old House has broken down the sequence of events in a typical kitchen fire to show how quickly the devastation can spread. Follow along to learn how you can best protect your home, your loved ones, and your own life. Our house fire example starts on the stovetop since cooking fires account for almost half (44 percent) of all home fires. A few seconds is all it takes for a pot or pan to boil over the rim, spilling flammable oil-laden contents directly onto the cooking flame or red hot electric burner. In a few hundredths of a second grease or other fatty substances ignite into flames. The flashpoint of many common cooking oils is around 600 degrees F, but when gas or electric burners are placed on high, temperatures can approach 1000 degrees F.
Within seconds of a flame-up, fire easily spreads. Spattered grease or oil residue on a dirty stovetop will ignite, causing flames to travel across the range. Oil residue on cooking utensils also ignite, and other combustibles like paper towels, paper or cardboard packaging, and dry dish towels nearby will begin to smolder or burn. Smoke—a deadly cocktail of hot gases, including carbon dioxide, carbon monoxide, water vapor, hydrogen sulfide and unburned hydrocarbons (i.e., ash or soot)—rises up off the flames with the heated air. Extinguishing the fire now is crucial: Do not attempt to move the pot or pan—you risk burning yourself and spreading the fire around the room. And never throw water on a cooking fire; that will just spread the greasy flames. Instead, cover the pan with a lid or cookie sheet to deprive the fire of oxygen and put out the flames. As the fire grows higher and hotter, more flammable objects and furnishings will ignite from spreading flames, including wooden cabinets and countertops, wallpaper, hanging baskets, and curtains. With the fire moving beyond the stovetop and other areas beginning to burn, a denser plume of hot air and smoke rises and spreads across the ceiling. If you're still in the room, this hot, smoky air can instantly burn the inside of your breathing passages. Plus, fires generate highly poisonous gases, including carbon monoxide and hydrogen cyanide (created when insulation, carpets, clothing, and plastics burn). Just two or three breaths of it and you could pass out. As the flames intensify, the smoke and hot air rising off the fire are more than 190 degrees F. Heat from the fire radiates to other parts of the kitchen, heating up tables, chairs, shelves, and cookbooks. The hot cloud of smoke thickens and deepens below the ceiling. Cyanide and carbon monoxide levels steadily increase: at 3,400 parts-per-million (typical levels in enclosed room fires) survival time is cut to less than one minute. Carbon monoxide poisoning causes more fire related deaths than any other toxic product of combustion. When the smoky layer inches down to the top part of a doorway, an open window or a vent, it quickly streams out of the room. Then the poisonous smoke and heated air travels through hallways and up stairwells to the second floor. The fire consumes kitchen cabinets, wood countertops and shelves stocked with plastic storage containers and dry goods like cardboard boxes of cereal, crackers, and cookies. More and more heat is generated. The temperature in the upper layer of hot gases rises to 400 degrees F—hot enough to kill people. Compounding the heat is a very dense smoke cloud hovering just a few feet above the floor. It may also include more toxic components like arsenic (used as a wood preservative) and lead (from old paint), as well as irritants like ammonia, oxides of nitrogen, hydrogen chloride and isocyanates. The fire can now spread by two paths: direct flame contact or by auto-ignition, the temperature at which objects will spontaneously burst into flames without being touched by flames. The auto-ignition temperatures of hard and soft wood used in furnishings and home construction fall between 595 degrees F to 739 degrees F.
3 Minutes, 30 Seconds: Flashover! In just 3½ minutes, the heat from a room fire can reach 1100 degrees F. As this happens, flashover occurs. Everything in the room bursts into flames—wood dining table, wood and upholstered chairs, cookbooks, curtains and wall decorations. The oxygen in the room is virtually sucked out (used up during the rapid combustion); glass windows shatter. Balls of fire and flames shoot out windows and doorways. The upstairs fills with thick, hot, noxious smoke and the stairwell is impassible. When you have flashover in a room, temperatures can reach up to 1,400 degrees F—now, all of the other rooms in the house are severely at risk. Flames pour through the doorway into the neighboring living room, setting the carpet and upholstered furniture on fire. Synthetics like polyurethane and polyester foam in sofas, pillows and carpets release tremendous amounts of heat. The temperature above the sofa quickly rises to 500 degrees F. Back in the kitchen, the blaze has penetrated the wall and ceiling and flames travel quickly through unseen structural vertical shafts in interior walls and horizontal shafts between floors. Fire spreads to the second floor. Flames are visible from the street: they travel outside the house through the door and broken windows and into open second story windows. Rescuing anyone still trapped on the second floor may be impossible. As the blaze in the living room intensifies, the room flashes over. The type of construction materials used to build your home will influence the severity of damage. Synthetics like polyurethane, polystyrene, and PVC used in glues, insulation, and plumbing will auto-ignite at temps between 850 and 1075 degrees. At 1000 degrees F, steel plates used in engineered roof trusses will start to buckle and they lose 40 percent of their load-carrying capacity. Newer homes built with engineered wood can experience floor collapse in as little as 6 minutes. Roof collapse can follow very soon after in an out-of-control blaze. If flames are visible from the outside when firefighters arrive, they immediately go into an aggressive attack strategy trying to ascertain if they can still safely save lives. Next they direct water to extinguish the blaze at the heart of the fire. Water simultaneously cools the burning debris (lower temps mean fewer flammable gases being generated) and can limit oxygen's ability to fuel the fire. Firefighters, on average, use nearly 3,000 gallons of water on a house fire. Firefighters may also vent off hot smoke and gases either by breaking open upstairs windows or cutting a hole in the roof. They may also use dry chemicals to retard fire spread and extinguish flames. Extensive property damage extends to the entire house. Even in rooms untouched by flames, high heat has softened window glass, melted plastic, caused paint to blister and charred wood. Most appliances are a combination of metal and plastic, so even if they are still standing, chances are they are ruined, with innards melted and destroyed beyond repair. And after flames are extinguished danger still lurks: many of the burned or melted plastics and synthetic materials in your home will continue to off-gas toxins. It is unsafe for anyone to enter the structure. Likewise, unseen weaknesses in the structure may still cause collapse. Whether or not your house will be livable after a major fire will depend on many factors, and you will need to obtain permission from the Fire Marshall to reenter your home. Burned or unstable wood in the structure will need to be replaced. After a major fire drywall is left dehydrated and crumbling and will need to be replaced. Given the high temperatures of large fires, most if not all of the home furnishings may be rendered unusable. Smoke damage will be severe—particles can permeate everything (especially clothing and fabric) and the foul odor is difficult to remove. Even untouched items in storage are at risk. Water from fire hoses may cause further damage to the structure, foundation and furnishings: mold can grow rapidly in wet or damp areas. Ash and soot can stick to floors, walls and furnishings and cause additional damage due to the caustic byproducts present in the burned materials. Expect to need weeks, if not months, to do cleanup and repair before you can bring your family home. 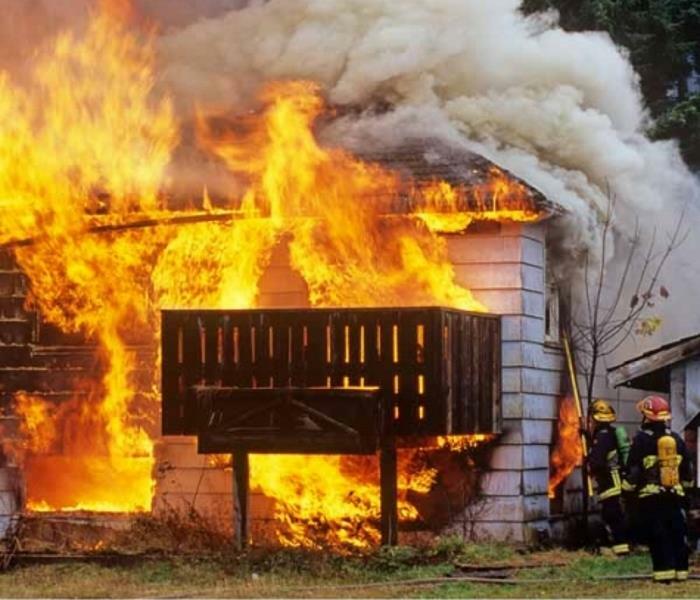 If the unthinkable happens, and you experience a house fire, call SERVPRO of East Sterling Heights/West Clinton Twp. at 586-412-9595 for the professional help you will need to restore your home. Travelers Indemnity company claims point to several of the top causes of house fires in the US. Here's what to watch out for to avoid a fire in your home. Check the electrical cords throughout your home for signs of fraying, and replace all frayed wires. Do not pinch or cover electrical cords with items such as rugs. Be aware of the capacity of your home's electrical system. Do not overload your circuits. If you have questions about your home's electrical system, you may want to consult a licensed electrician. 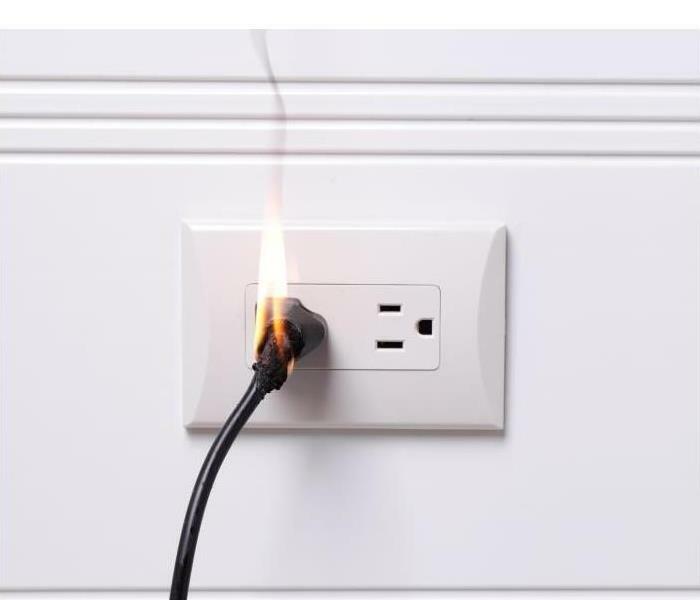 Understand the difference between surge protectors and power strips—both allow you to plug in multiple electronic devices, but only the surge protector will help protect these devices from a power spike. Use surge protectors to protect valuable electronic devices, such as computers and televisions. Never leave your pots or pans unattended on your stove. Keep a kitchen fire extinguisher readily available and know how to use it. Keep your stove and oven clean. Built up food splatter or grease can later ignite when the stove or oven is turned on for cooking. Read more tips to help prevent cooking fires, and what to do if one occurs. If you are installing your own dryer vent, follow the directions in the manufacturer’s installation instructions, using the recommended duct material. If you are unsure about how to properly install the vent, consider hiring a professional to do the installation. Clean out the dryer vent regularly. Clean out the lint filter after each load. Lint may also collect under and behind your dryer, so do not forget to clean these areas. Avoid using an older space heater, as it may not have adequate safety features compared to newer units. When purchasing a new space heater, ensure it is UL Listed and pay attention to the safety features. Do not place a space heater near furniture, curtains or other objects that could easily catch fire. If you plan to install an alternative heating system, such as a wood or pellet stove, follow the manufacturer's instructions. If you are unsure about how to properly install the system, consider hiring a professional to do the installation. Before installing a wood or pellet stove, check to ensure it complies with the laws of your state and municipality. Have your chimney inspected annually by a Chimney Safety Institute of America (CSIA)-certified chimney sweep. Have a professional clean and repair the chimney as needed, especially before the cold months, when you will be using it frequently. Use seasoned wood only. Never burn green or damp wood. Never burn cardboard boxes, wrapping paper, trash or trees in your fireplace—these can all spark chimney fires. We are often called by homeowners whose refrigerator has leaked and done serious damage to the floor under the appliance. Almost always, the water source is a leak in the water supply line bringing water to the ice maker and the filtered water dispensing system. Here’s some useful information that could help you avoid such a problem. When a water supply line is added to a home, the installer will usually use an ice maker valve kit that includes a small metal saddle secured to a cold water pipe near the refrigerator. These ice maker kits often come with a small clear plastic water pipe attached to the valve and to the water inlet on the refrigerator. That piece of flexible plastic tubing is the most likely site for a leak to develop. Pinholes in the tubing can go unnoticed during installation and remain unnoticed for years, hidden behind the refrigerator. Such pinholes can also develop later, after installation, especially if the plastic line is handled a lot or the fridge is pulled out and pushed back in frequently. Over a long period of time, hundreds of gallons of water seeping from a tiny leak in the tubing can lead to serious structural decay and damage to the wall and floor systems around the refrigerator. An installer can also put in a t-joint and shut-off valve in the water line instead of the small metal saddle. This makes for a better union and is less likely to fail or leak but it does cost more. Some refrigerators have copper tubing supplying water to the appliance rather than plastic. Small leaks or fractures of copper tubing are possible, but not as likely as in the plastic tubing. 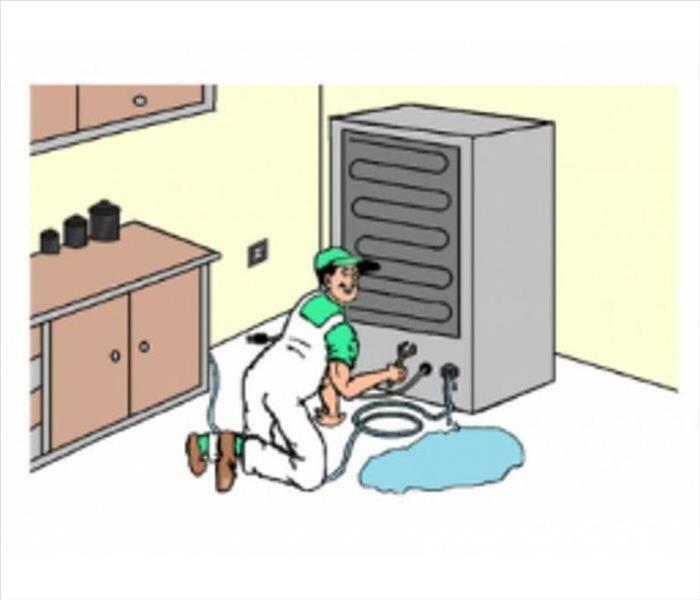 Two things you can do to prevent water damage from an ice maker: 1) Use copper tubing for the connection and 2) Install a battery-operated flood alarm under the refrigerator. Properly positioned, the inexpensive battery-operated alarm will respond if the unit detects water from a leak. To find such a device on the internet, use your search engine and type in "flood alarm." If your best efforts do not prevent a leak and you discover water damage from a supply line leak, call SERVPRO of East Sterling Heights/West Clinton Twp. for prompt and professional cleanup and restoration. Our number is 586-412-9595 and you can call on us anytime, day or night, 365 days a year. If your home or business has been hit with severe storm damage, let the experts at SERVPRO of East Sterling Heights/West Clinton Twp. get your property back to the condition it was in before the storm even struck. 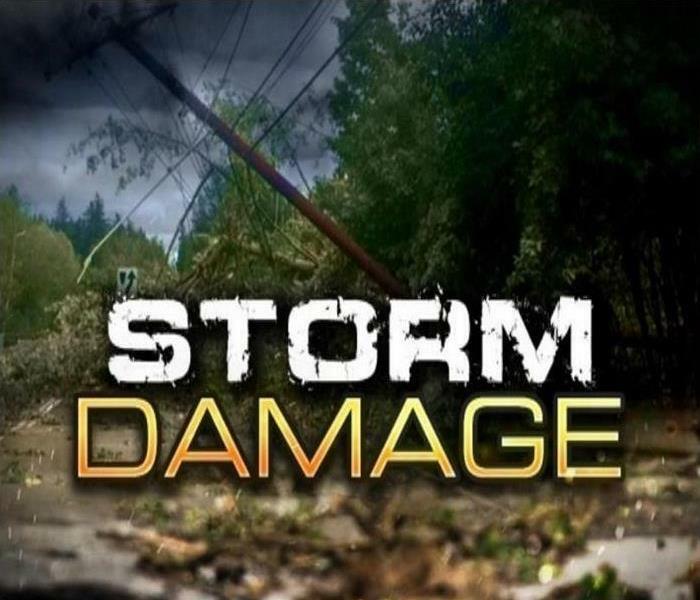 Depending on where your home or business is located, you may experience a variety of storm events, including wind damage, heavy rain and extreme flooding from winter storms, tornadoes or other powerful storm systems. In a matter of minutes, your property can be significantly impacted by a storm, and can even make it necessary to move out of your home until repairs can be completed. If it's your business, you may be forced to close your doors, sometimes for an extended period. If this happens to you, call SERVPRO of East Sterling Heights/West Clinton Twp. for truly professional and prompt assistance. You can reach us 365 days a year by dialing 586-412-9595 any time of the day or night. We will be there to support you every step of the way, assessing the storm damage and beginning the restoration process at once. 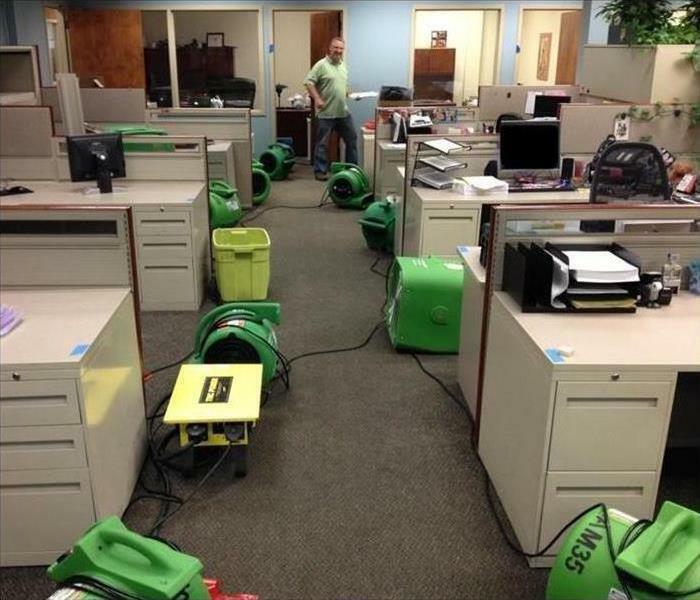 SERVPRO has the trained personnel, the equipment and the products needed to clean up after a storm. We understand how helpless you can feel in the face of disaster, from seeing the damage to your physical premises to not knowing what to do next. In order to get your home or business restored after storm damage, call us as soon as disaster strikes. We will deliver a restoration response that is perfect for your family or your business and get you back to your normal life as quickly as possible. 1/10/2019 - What Happens in a House Fire?